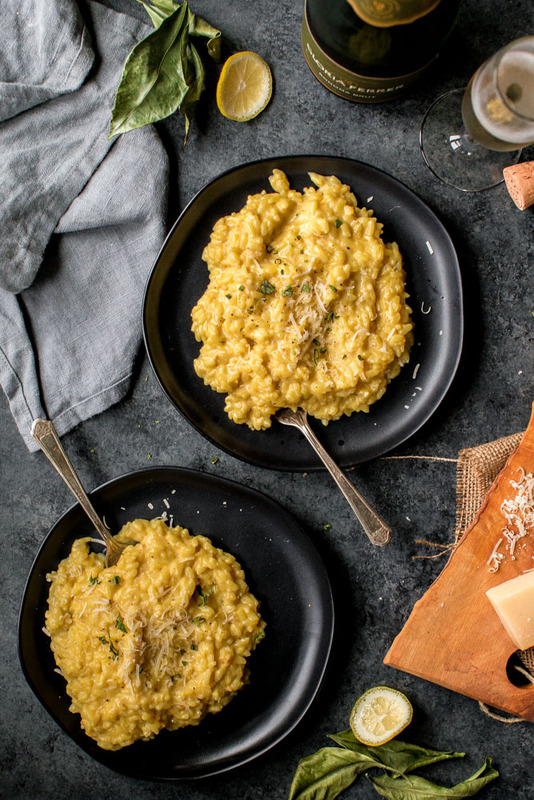 I’ve mentioned in previous posts that I LOVE making risotto in the winter – Standing in front of a warm stove and unconsciously stirring away is a bit like meditation for me. And, as an added bonus, you’re left with a pot of creamy, comforting deliciousness at the end. Love or hate the holiday, Valentine’s Day is coming. 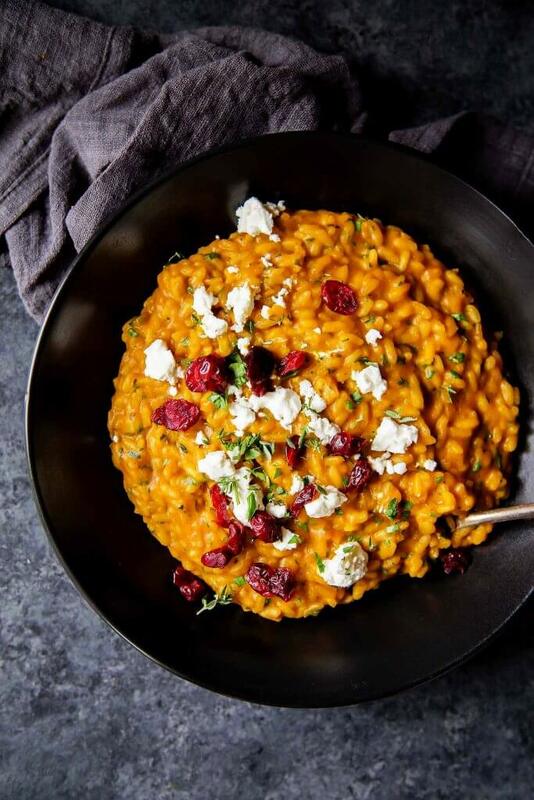 What’s more suitable than a bowl of bright red beet risotto with goat cheese? Even if you’re single, and staying home for the occasion, you need this dish in your life! Plus, it will pair awesomely with a bottle of sparkling wine, which is always appreciated on this holiday. 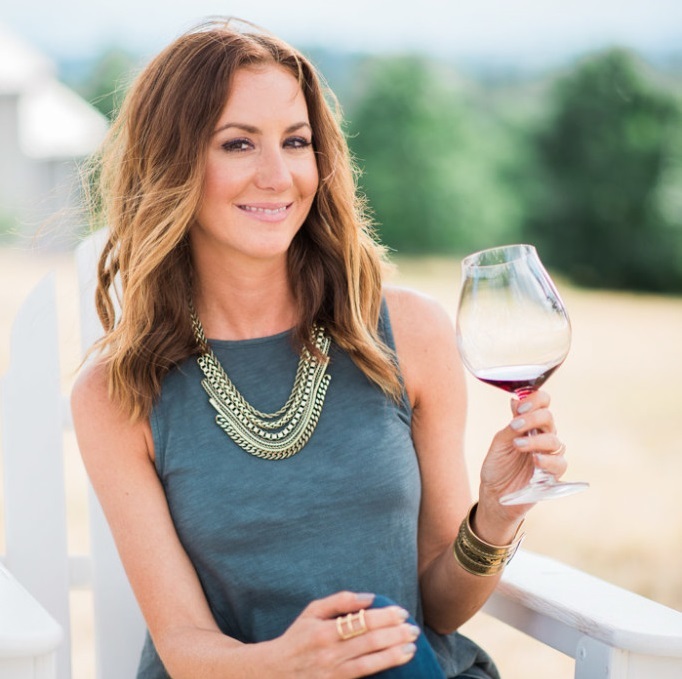 Again, if you’re single… More wine for you! This creamy risotto has a hint of sweetness from the beets and the tanginess of the goat cheese balances it out perfectly. However, if you’re not a goat cheese fan, you can always substitute in some feta or parmesan. 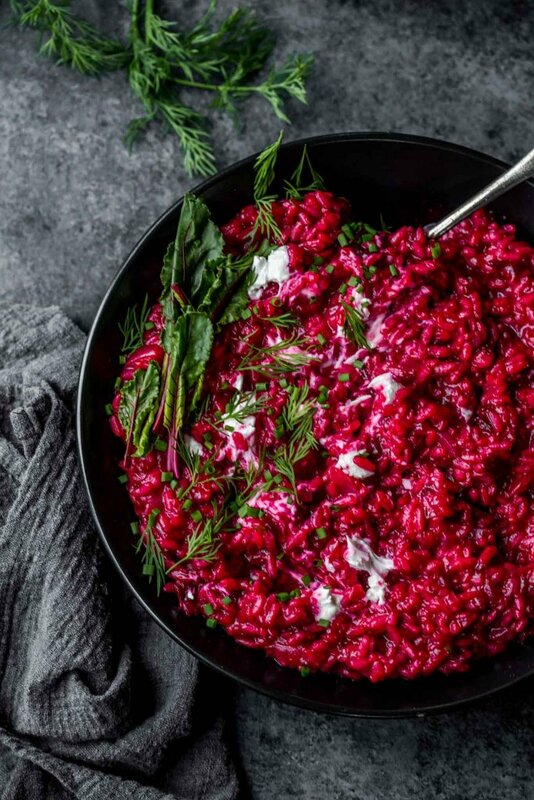 Top your beautiful bowls of beet risotto with a sprinkle of fresh dill (and some reserved beet greens if you’ve got them) and you’ve got yourself one stunningly gorgeous dish that’s perfectly suitable for Valentine’s Day but absolutely necessary to be consumed more that once a year – It’s just that good. If you loved this Beet Risotto I would appreciate it so much if you would give this recipe a star review! Also, be sure to snap a picture of your finished dish and share it with me on Instagram using the hashtag #platingsandpairings and tagging me @platingsandpairings. 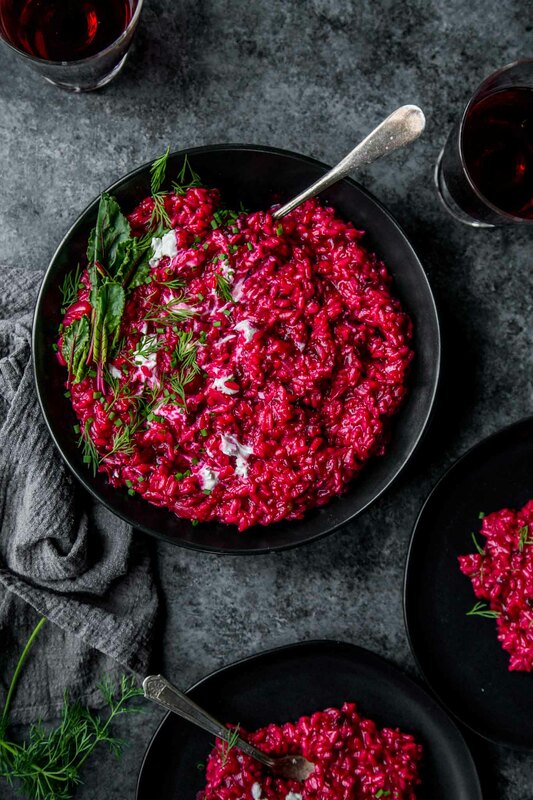 This Beet Risotto with Goat Cheese is a delicious dish that's perfect for Valentine's Day but craveable every day of the year! Tightly wrap beets foil and roast on a baking sheet until tender, about 1 1/2 hours. Let cool slightly. Peel the beets under running cold water. Place two of the beets in a blender or food processor and process briefly, until somewhat smooth. Dice the remaining beet into 1/2 inch cubes. While beets are cooling, bring broth and water to a simmer in a 2- to 3-quart saucepan. Heat butter in a wide, heavy pot over moderate heat. Cook the garlic and onion until softened and fragrant. Add the rice and cook, stirring constantly, for 1 minute. Add wine and stir until absorbed, about 1 minute. Using a ladle, stir in 1/2 cup warm broth and simmer briskly, stirring constantly, until broth is absorbed. Continue simmering and adding warm broth, one ladle at a time, stirring constantly and letting each addition be absorbed before adding the next, until rice is just tender and creamy-looking, 18 to 22 minutes. Stir in beets, vinegar, salt, and pepper and cook, stirring, until heated through. 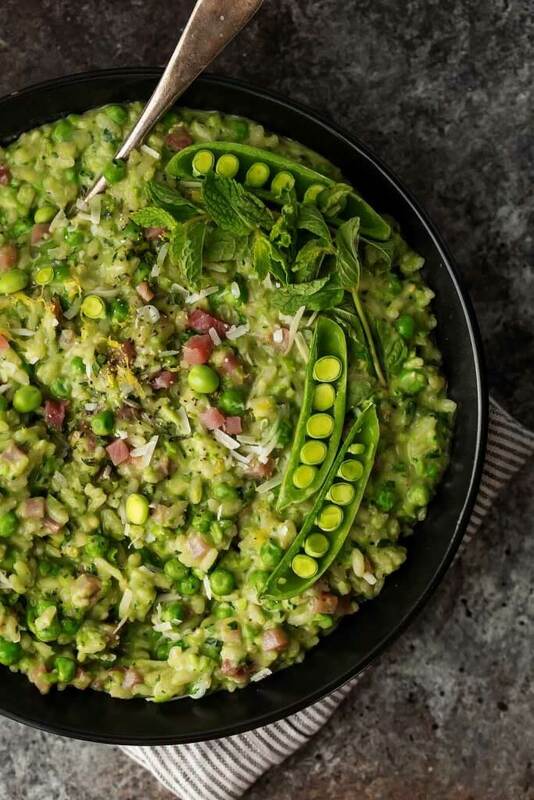 Top bowls of risotto with crumbled goat cheese and dill. Serve immediately. I like to serve this beet risotto with goat cheese with a simple arugula salad on the side. 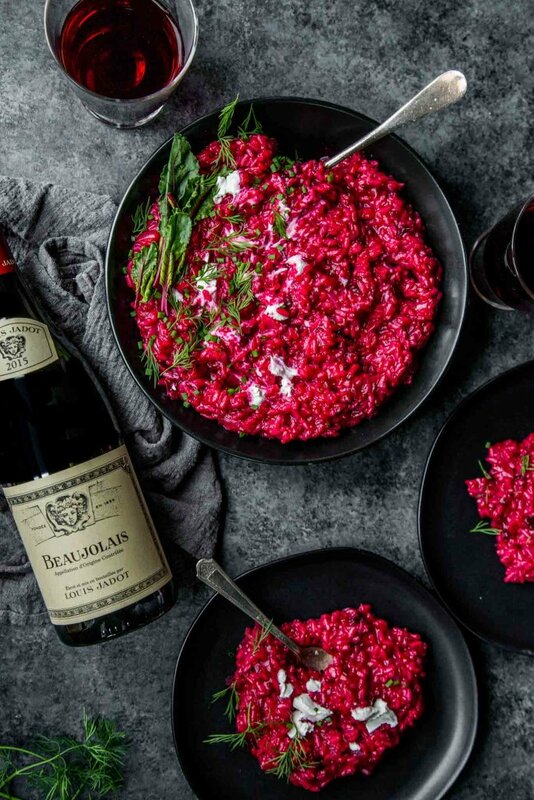 This beet risotto will pair awesomely with a sparkling wine – rosé or otherwise. (Here are some great budget friendly options) The effervescence helps cut down the creaminess of this dish and the sweetness of the beets is complimented nicely by the acidity of the wine. Want a red wine? 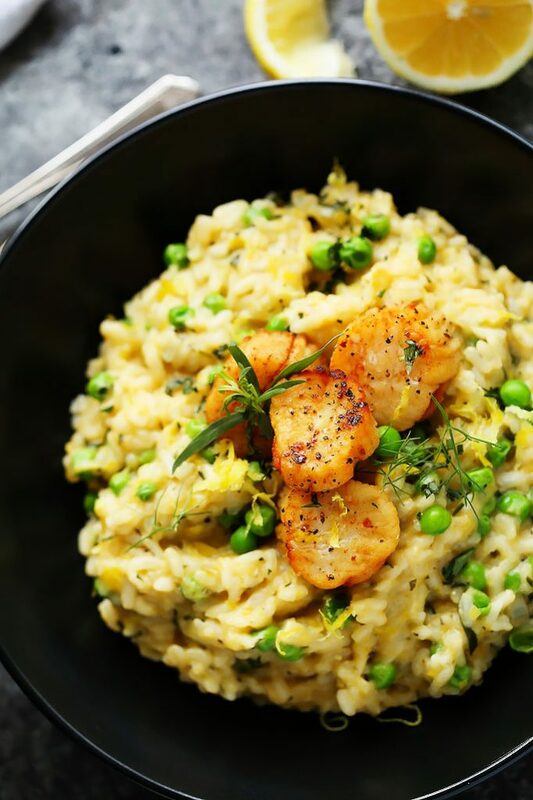 Try pairing this risotto with a Beaujolais – Its bright, berry flavors and hint of acidity stand make a great compliment to this dish. Note: This recipe was originally published in February 2015. It was updated January 2018 to update the photographs. The recipe remains unchanged. I’ve never had beet risotto before. Will have to try since we still have a few beets in our garden. Thanks for the recipe! You are welcome Vy! Jealous that you grow your own beets! I think that walnuts will be a perfect addition Janel! So glad winter is in the rear view window! I hope you enjoy this when the cold weather rolls around again! Such a delicious and colorful salad! Great way to incorporate beets! Thanks Allie – I was initially thinking it’d be great for Valentines Day – But now I’m thinking it would work for the 4th of July too! 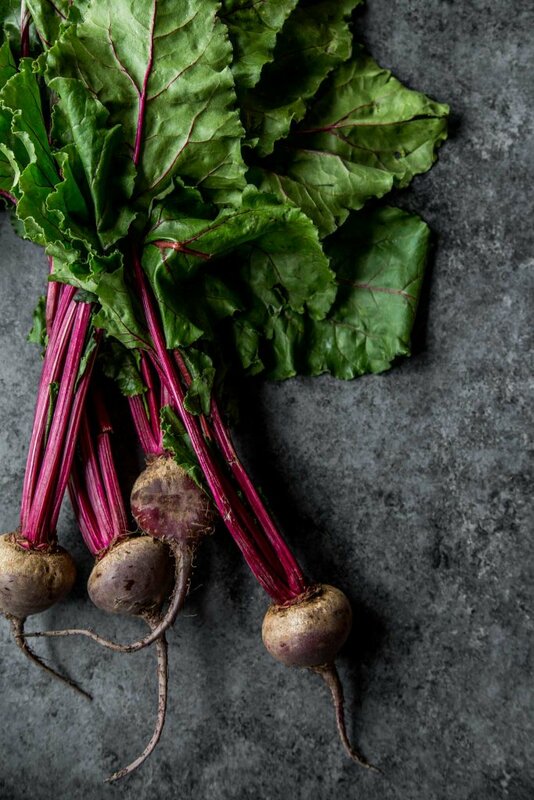 I was never a fan of beets…but, lately, they’re growing on me! I will have to try this recipe! Amy – I wasn’t a huge beet fan either, but my BF loves them. They’ve grown on me tremendously! Seriously – so gorgeous! That color is so saturated! I love beets and goat cheese, can not wait to try this. Thank you Jessica! I think it’s perfect for Valentine’s Day with its bold, red color! Two items I love and one dish. This sounds easy enough and absolutely delicious! I will be saving this recipe for the future! Such a gorgeous vibrant dish! 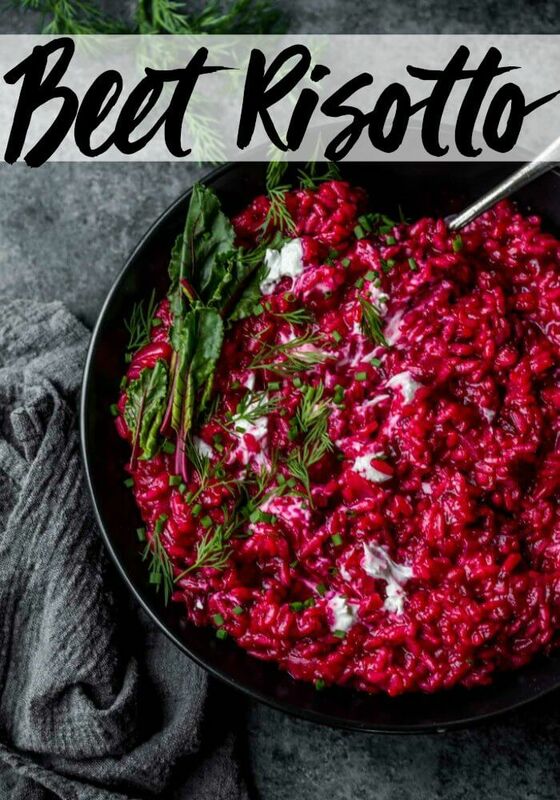 I’ve never had beet risotto but it sounds lovely! Beet risotto for one please! Oh and yes to the sparkling wine! I love beets so this is right up my alley. The colors are just so gorgeous, it screams fresh! Thank you for sharing. Excited to try it! I hope you enjoy Breona! Well, you’ve got my number when it comes to beets and goat cheese together – it’s such a wonderful combination. I once had a wonderful warm beet salad with goat cheese at Brasserie Les Halles in NYC and it totally convinced me of this combination as a classic. Thanks for posting! This looks amazing! I made risotto the first time about two months ago it is a fun but tedious process constant stirring but well worth it. And to top it off with goat cheese makes it even better! I’m a bit of a weirdo – I love the stirring process just because I get to stand over the hot stove (and I’m always freezing). Cheers Gina!